On Memorial Day, I got the wild hair that I wanted to head to a local park and have a picnic. Believe it or not, Atlanta has an abundance of greenspace, and I am a little ashamed to say that I rarely take advantage of it. Luckily, the weather in Atlanta Memorial Day weekend was absolutely perfect. It wasn't too hot and the humidity had not quite kicked-in yet. If you know anything about the south, you know you have to take advantage of that stat, so my wheels started turning. I wanted an easy picnic that I could throw together without the stress of having to plan and cook for days. A few quick stops around town, and I was ready! I couldn't justify a picnic without the perfect picnic basket. I have to say that I've been on the hunt for a basket for a while, but I couldn't justify spending a ton of money on one. This one comes in under $20 and is the perfect size for just two people. I used my Waiting on Martha pompom blanket as a starting point for our picnic. 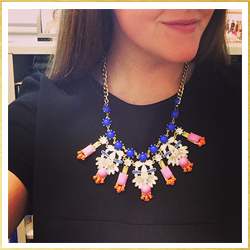 It's small enough and light enough to carry (and cute, too!). For our meal, we noshed on picnic staples like ham and Swiss sandwiches, pasta salad, watermelon, and snacks from CVS. Side note: it's amazing to me that I can walk into CVS and grab everything from sunscreen to snack bars. If you're on your way to the park and happen to forget any of your picnic essentials, find a CVS, and I am sure you'll be able to find what you need! 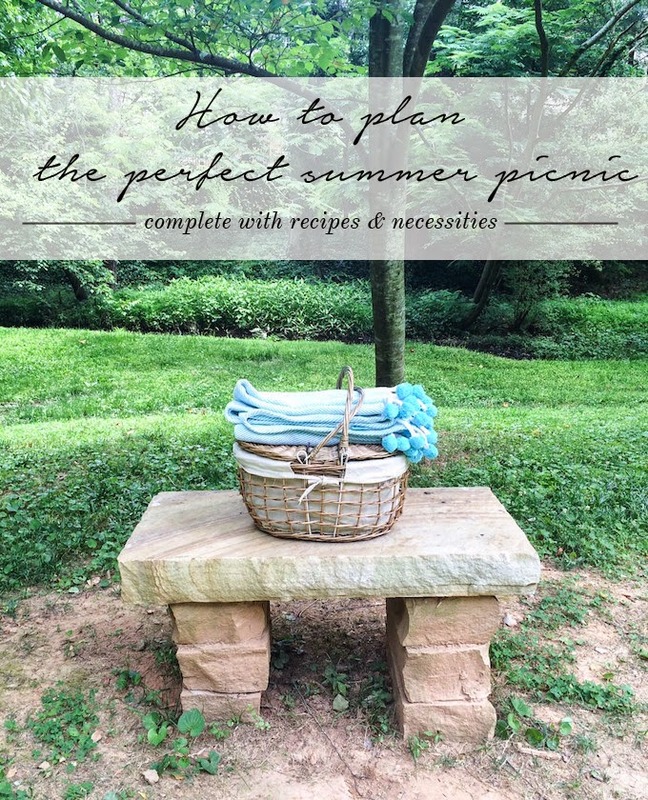 Use my guidelines below as well as the recipes to plan your perfect summer picnic. Special thanks to CVS for sending me a few of the picnic in the park necessities seen in this post! i haven't had a picnic in a minute! how adorable. i love this idea.